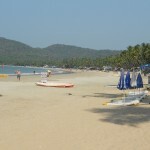 On my first trip to India, I spent a month at the hippie beaches of Goa. 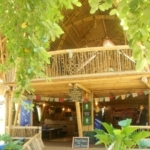 In Palolem, I attended yoga classes at a nearby well-being centre called Bhakti Kutir. Secluded among the trees 200 metres above the south end of the beach, it’s a great place to go if you’re looking for yoga in Palolem. With its easy, serene atmosphere, relaxed staff and great WiFi connection, Bhakti Kutir quickly became my hideaway of choice for catching up on emails and writing. It was here that I met Nadia, an American freelance writer and we quickly became friends. Here is Nadia’s review of Bhakti Kutir. I spent a lot of time at Bhakti Kutir. Not only because of the relaxed atmosphere, excellent organic food and friendly people, but because I’m not treated like a tourist there. In that sense, for me, it truly is a sanctuary. Bhakti Kutir (pronounced without the ‘r’ by the locals) is a Sanskrit word for ‘a home of devotional meditation.’ There are 22 cabanas, all unique, all with attached toilets and showers. 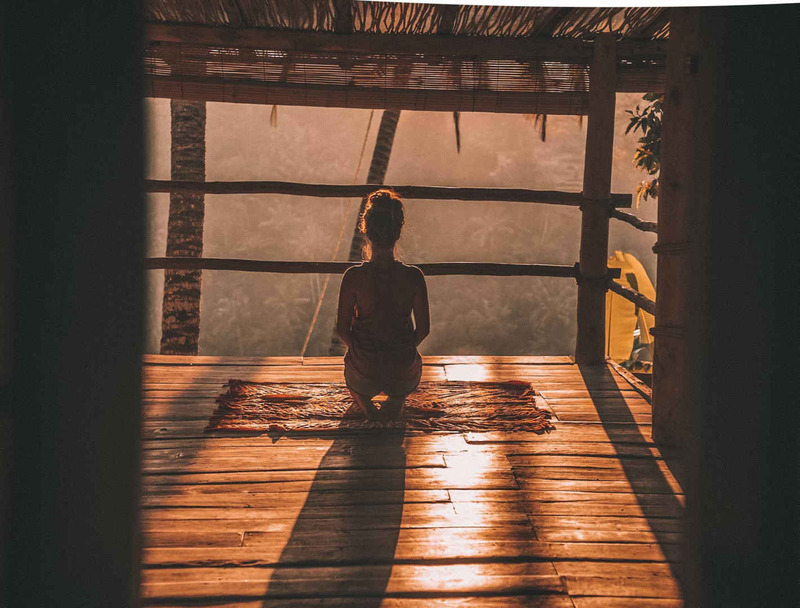 The aim of the Goan-German founders is to provide a space for spiritual seekers and holistic healers to connect and retreat. Any guest with skills and training can set up a workshop for other guests while staying. Many adjectives come to mind when I think about how to describe BK: lush, laid back, tranquil, luxurious. When you first arrive, it’s clear why this is a destination spot. It’s gorgeous and when you enter through the gates you leave behind the chaos of India. Before I go further, I want to explain that under most circumstances, I am a budget backpacker on a pilgrimage through India. The week I spent at BK was an important week for me. 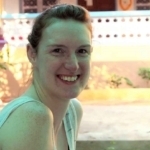 I came to Palolem specifically for Bhakti Kutir because I wanted to be in a place that felt safe and comfortable. Here I could be solitary if needed and I knew that would be respected and appreciated. Looking back on my stay there, I am grateful for my choice. I spent four nights in total. Theirs was the most comfortable bed I’ve had thus far in India. The room was decorated in an Afro-Caribbean style, complete with my own spray bottle of lemongrass oil to deter mosquitoes and a small night table lamp (a real rarity in guesthouse or hostel rooms). Mosquitoes are a big downside to living in this tropical oasis. Also, the pre-dawn noise level is off-the-charts from all the crows and roosters in the trees. Bring your ear plugs or embrace being an early riser during your holiday. The room comes with an open-air toilet and shower attached, which gives it a beachy feel. Perfect for a shower just after sundown when the heat of the day starts to dissipate. There isn’t hot water at BK yet, but the staff will bring you a bucket if you request it, for no extra charge. One of my first stops at BK was the restaurant which goes by the same name. This is organic healthy food at its best. They have a range of Indian dishes, English-style breakfast, salads and a few Chinese dishes. Their fusion daily specials include dishes like cauliflower stir-fry with a green salad and chapatti. I’ve tasted nothing that I haven’t absolutely loved. Favourites include the carrot and beetroot salad with peanut sauce, the open cucumber chutney sandwich and the energizing Ayurvedic drink. I also liked the local dish known as nachani or ragi. Called finger millet in English, it’s a porridge grain native to Goa and served with fresh fruit and molasses. There is an Ayurvedic massage studio at BK, called Kailas Aurvedic. They have over a dozen different services, from a basic head or foot massage to a lymph drainage massage or liver stimulating massage. During my stay I had the standard one hour Ayurvedic massage, the last of my splurges for the week. The massage table is a large slab of wood with no cut out for your face, which makes it rather uncomfortable for the portion of the massage done while on your front. 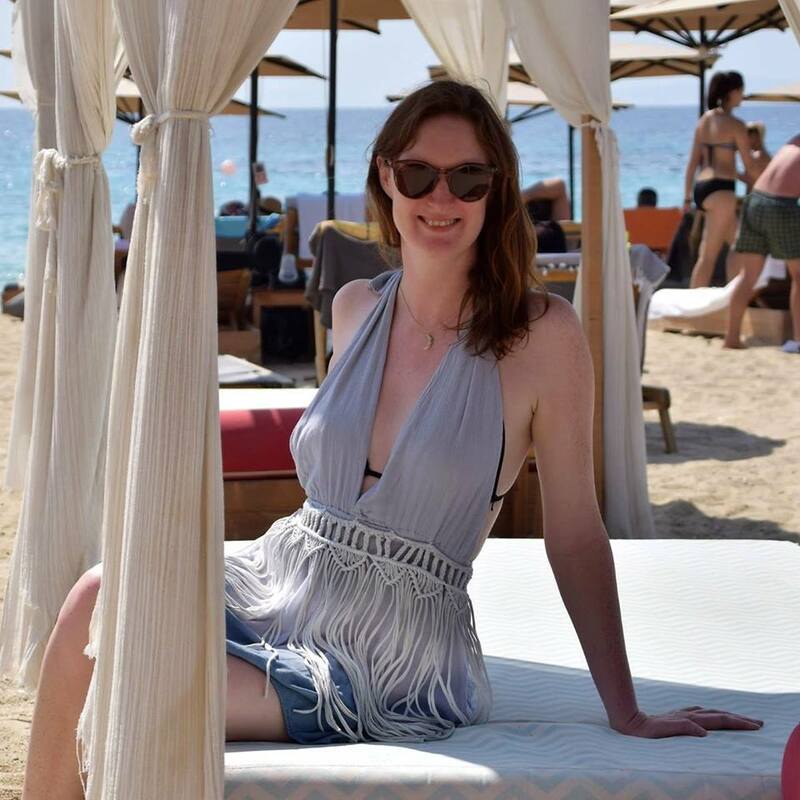 However, despite this I felt safe in the hands of an expert and I would recommend Kailas Ayurvedic as a trustworthy place for a massage experience. BK has a yoga centre on site, called the Yoga Temple. During the high season of November to March, they have long-term residential yoga courses and drop-in classes. What differentiates BK’s Yoga Temple from the other places for yoga in Palolem and nearby Patnem, is the presence of Swami Yogananda Saraswati. He is known as Swamiji, which signifies that he is a Swami: yogi who has been initiated into a religious monastic order. Swamji is the real draw and teaches at BK each year over the high season. The rest of year he can be found at his ashram in Manali in North India, close to Ladakh. Because it gets so cold around Ladakh at this time of year, Swamiji comes to Goa and many of his students follow him here. There are three daily classes: beginners, advanced, and intermediate. Class with Swamiji is not your standard yoga class. Emphasis is placed on pranayama (breath). Few poses are done, like you may expect from a a yoga flow series in another class. Instead, he focuses on fundamentals and basic movements to increase your range of motion. This could involve flapping your knee up and down or side bends and core work. Some people might be put off by the simplicity of these movements. Some may expect more from a bonafide Swami like him. But for me, I see the beauty of it. How can you do the reverse triangle pose properly if you don’t have the range of motion in your waist? His teaching style reminds me of ‘Mr.Miyagi’ from The Karate Kid. Swamiji has a great sense of humour that comes out the more you spend time with him. “More up, more down. More forward, more backward,” are his constant coachings. I had the benefit of having a semi private lesson one day, when only two of the regular beginners showed up for class. Swamiji went over the three fundamental pranayama exercises and explained his philosophy that you can’t be a student of yoga if you’re just doing poses. True yoga practice is meditation, pranayama and asanas (poses). It was a great hour for me. I’ve been so impressed with Swamiji that I am considering spending time at his ashram as I head north to Nepal later in the year. After yoga class is my favourite time at BK. That’s where I met Claire! You can socialise with friends and neighbours, enjoy a hot ginger tea and check your email and messages from home. There is no pressure from staff to leave or spend more money. Plus, the comfy chairs and benches in the restaurant make lounging almost impossible to stop once you’ve started. The fact that I spent every morning and many evenings at Bhakti Kutir, even after I checked out and moved down the beach to more long-term accommodation, shows how comfortable I find the place. The owners and staff work to make an environment that encourages people to come back. This is good business practice in my opinion. 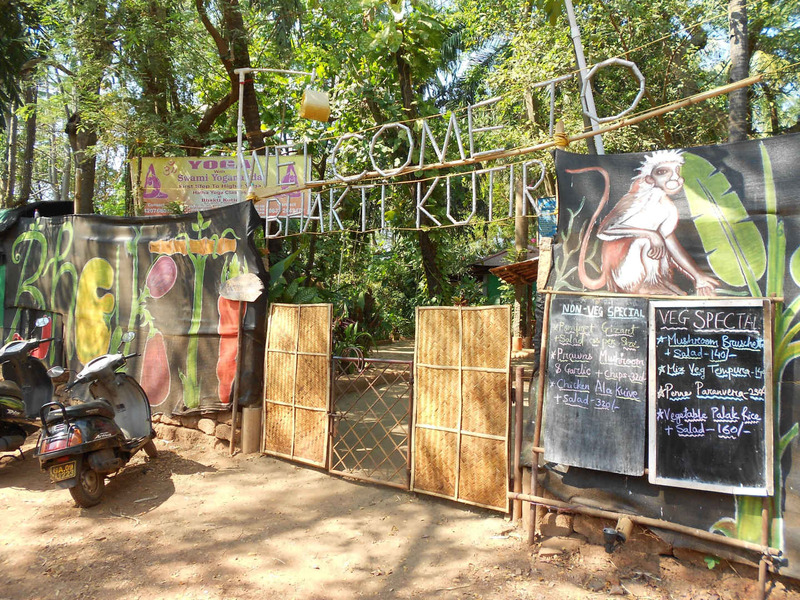 Bhakti Kutir will always be what I think of when I remember my time in Palolem. Next up, read my round up of the world’s top yoga places to visit while you’re travelling.